I’m Apathy… An underground hip-hop artist who is a Fremason AMA! There’s been some interesting online discussion about the video The Grand Leveler from hip-hop artist Apathy, not just for his use of a Masonic Lodge, but because he, himself is a Mason. Some people in our fraternity enjoyed the music and his vision, while others believe it portrays Freemasonry in a bad light. And after you’re done, then stop by the Reddit Freemasonry group to discuss it some more. Ask the Grand Master… Anything! 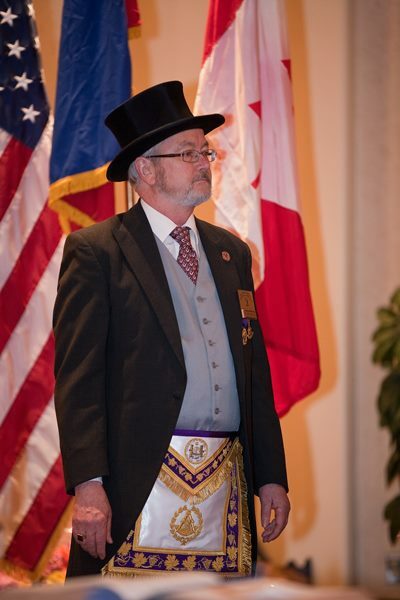 While some Grand Lodge officers are barely able to use their email, Connecticut’s Grand Master, MW Bro. Simon LaPlace, is going to do an AMA on Reddit Friday afternoon, June 7, from 3 pm to 6 pm. Reddit is a news aggregate site, similar to Digg or Stumble. Users submit news items and articles of interest, and readers vote on the quality, timeliness, and usefulness of the item. As the site has grown over the last five or six years, users have added sub-groups, so people interested in certain topics can find items more easily. There are now several thousand interest groups, ranging from art, to cooking, exercise, investing, home remodeling, coin collecting, bicycling, and yes, even Freemasonry. I know this because I happen to be a mod on the Reddit Freemasonry group, along with another one of your blogging friends, The Millennial Freemason. 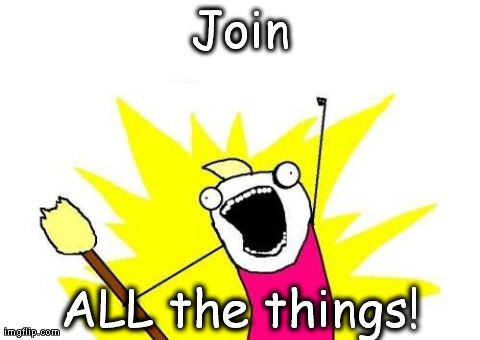 /r/freemasonry, as the group is known, has been growing steadily for the last couple of years, with now well over 2,000 members. Since the Reddit user demographic tends to be late teens to 30s, the members are mainly younger (i.e., newer) Masons, most of whom are enjoying the opportunity to ask questions and trade ideas with Freemasons in other jurisdictions. The other day, after I had been writing about how great Masonry is in Connecticut, and how progressive the Grand Lodge was with regard to online communication, one of the members asked if our Grand Master would consider doing an AMA. The next thing we knew, we had it set up. An AMA is an online Reddit interview, in which a person of interest agrees to stay online for a few hours, answering questions from random users, mainly, but not always, about the topic at hand. While there have been several Freemasons who have volunteered for these on the subgroup /r/iama, MW Simon will be the first Grand Master — and apparently the highest ranking Mason ever — to sit in for one. If any Freemasons are reading this, please stop by and join in the fun. If non-Masons are reading this, please stop by and ask questions or offer up comments. Edit: Here’s the link to the AMA. Like a lot of my fellow Masons, there are times when I get really busy with work, family stuff, work, personal health care, work, projects around the house, and work. In the last few years, I have often missed lodge meetings because I’m working until 7 or 8 pm, or because I’ve needed to do something with the kids, or because some other matter has cropped up that I can’t take care of at any other time. I’m sure that this happens to other brothers, too. That’s why I’m thrilled by Maso-Net, the new program that will be introduced by RW Simon LaPlace, the incoming Grand Master of the Grand Lodge of Connecticut, that will allow busy Masons to attend their lodge meetings virtually, at their own convenience. I don’t want to spoil the surprise, which he is expected to announce at his installation as Grand Master during next week’s Grand Lodge Annual Communication, so I’ll just mention some of the highlights of the program. While there have been online Masonic communities of Masons since the before the internet was available to the general public, they have generally taken the form of text-based message boards. Maso-Net will be completely different in that it will allow lodge members to actually see, and in some cases, attend a lodge meeting in real time. To accomplish this, Mason-Net will have several components. One will be a Skype-like interface that will connect members directly to a lodge. Participating lodges will be outfitted with a large screen TV on the North wall of the lodge room, with a corresponding webcam positioned in the Northwest and Southwest corners. Maso-Net Members will sign in and be presented with a view of the lodge room that includes the Master’s chair, and the screen will allow the other members to see who has signed in. Maso-Net members, though their own webcams hooked up to their computers, be able to attend the meeting and follow along with the proceedings without missing any of the details. Amplified speakers near the TV screen will allow them to speak during meetings as if they were in attendance. RW LaPlace initially conceived of this as a way to reach out to older brothers who were unable to attend because of health reasons, but the idea quickly gained ground among the Grand Lodge technorati who, accustomed to live webcam meetings, saw this as a way to keep existing brothers involved. As a Maso-Net member, a brother could work late, and take a dinner break to attend lodge. Users with smartphones (apps for iPhones and Android phones running ICS or better are already being developed) will even be able to attend while on the road, although they will probably need at least a good 3G data connection. A real advantage to Maso-Net meetings is that a WM will no longer have to worry about a last-minute cancellation on a degree night. A brother assigned to a particular lecture will no longer have to cancel if he’s away on business; the Master of a lodge would even be able to open if he’s out of town. Imagine an older brother delivering the working tools lecture to his grandson from the comfort of his own home — in Florida! Or imagine a District Deputy being able to attend a different lodge meeting every night of the week, and not spending a fortune on gas and car expenses. This aspect of the program is certainly a way that the Craft can take advantage of new technologies. Another interesting component to Maso-Net that RW LaPlace is expected to announce will be the ability to sit in on lodge meetings at any time of the day or night by the use of streaming technologies. Participating lodges will begin recording their meetings and using broadband connections, begin uploading those meetings to the cloud. Maso-Net members will then be able to find a lodge meeting and replay it. Members will be able to pause the recorded meeting for a break, or even better, skip through the boring parts. Still unannounced is just where the video recordings will be stored. 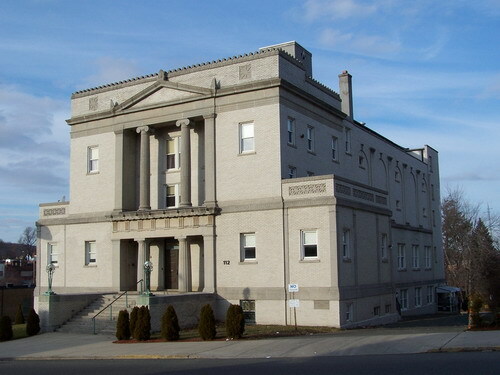 The Grand Lodge of Connecticut has its own servers, but as more lodges join the network the data storage itself would become unmanageable, to say nothing of the capacity for streaming a number of different meetings back to the members. Early reports have suggested Youtube, perhaps a dedicated channel as the perfect storage & replay solution. Obviously, the concern was raised that anybody could view a lodge meeting on Youtube, however, the counterpoint was raised that any non-Mason who viewed one lodge meeting was unlikely to make it a habit of viewing many more. I suspect that talks are underway with Google about the possibility of a private Youtube channel. Another advantage of this would be the ability to upload sections of various degree ceremonies in order for lodges to watch them for the purposes if ritual instruction. There are other aspects of Maso-Net that will be made public after RW LaPlace takes office. About a dozen lodges will be part of the initial phase, and RW LaPlace will probably announce which ones have been selected after his installation, with more participating every month. Brothers interested in signing up to be a Maso-Net member are encouraged to talk to their District Deputy, who should have the contact information. As a busy Mason who has been having a hard time getting to lodge meetings lately, I’m happy to see that Connecticut is on the forefront of bringing Freemasonry into the 21st century. Kudos to soon-to-be MW Simon LaPlace, and best wishes for an exciting year in office.